Hello everyone and welcome to our latest edition of What's New in Clearview Social! It's been about a month since we posted a feature update, and we have some pretty exciting stuff in the works. However we recently released a couple of improvements to our RSS Feed Management page for our admins, and I'd like to share those with you today! Under Automatic Queue Creation, select "Choose Groups"
And that's it! 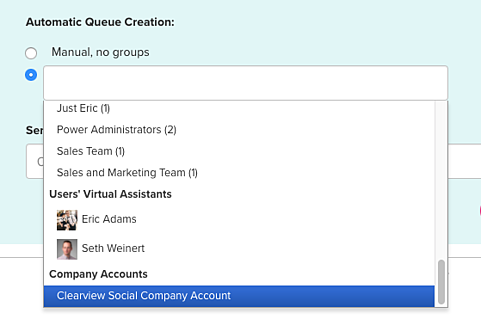 Queues will then be automatically created for the Company Account, and when the content is delivered it will also be automatically scheduled for posting to the company social media accounts! Click the checkbox next to "Make Available in Industry News"
That's it! Now any users can access these feeds that you curate for your organization. If you have any questions about our new features for RSS Feeds, you can always reach out in support within Clearview Social, or send us an email at support@clearviewsocial.com.